A giant wave by the name of «Belharra» forms along the Basque coast in autumn. It is also the name we have given to this office desk. This has enabled the two aspects that build the brand identity to come together: the Atlantic and culture. 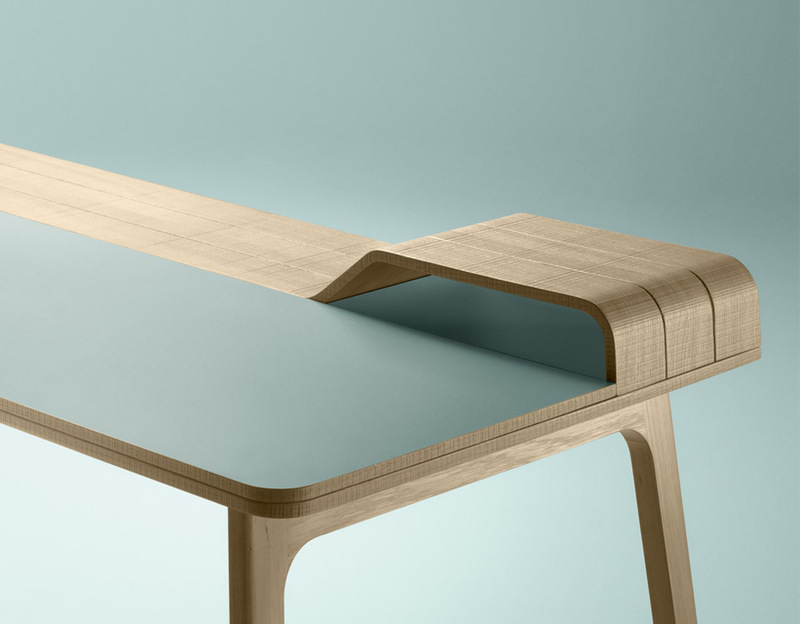 An affective relationship is formed with the desk / office table. It is a privileged witness to reflection, reading and communication, ranging from the quill pen to the iPad. Thanks to two places for arranging / storing things, the working surface of Belharra remains unencumbered. Using a range of materials, sawn wood in the static areas and smooth wood for the working area the different functions of the office are clearly marked.